Sugar Scrub by Sweet Candy is a body treatment which is made with sugar, Japanese rice, oat, olive oil, cereals, and natural organic fruits/flowers/leaves. Sugar Scrub by Sweet Candy is generally used to remove dead skin cells, brighten up your skin, nourish your skin, protect your skin from free radicals, relaxation effect, and soften your skin. To use: take sufficient amount of Sugar Scrub by Sweet Candy, add enough water (or honey) until it has pasta-like consistency. Apply evenly onto your skin, wait it to dry and rub your skin softly and slowly. Use 2-3 times a week. 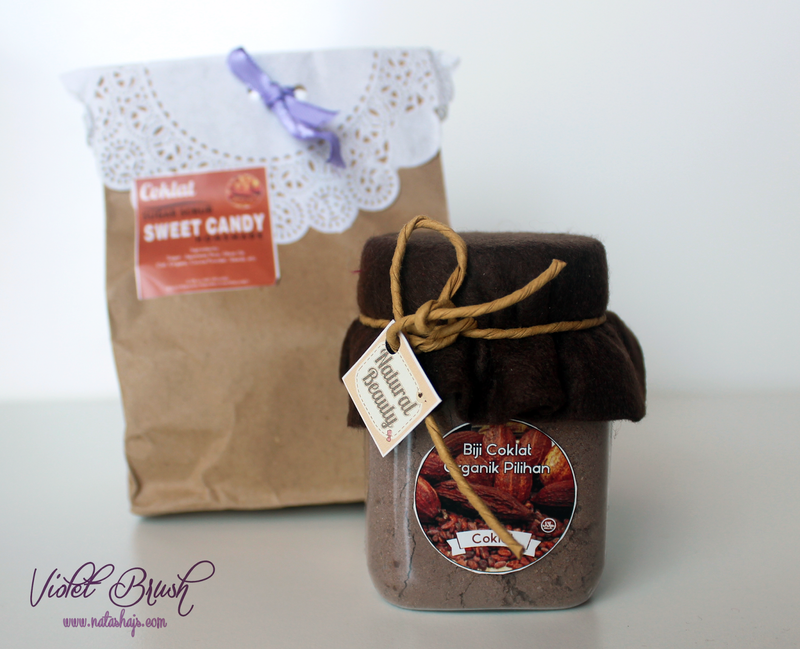 Sugar Scrub by Sweet Candy comes in a transparent jar which is very light in weight yet sturdy. The jar itself is actually pretty simple but I love how the owner came with an idea to decorate the simple jar with a flannelette and a rope. It's simple but sweet. Also, between the cap and the content, there is a separator to ensure the product won't leak. Storage instructions: close the cap tightly, make sure there's no water droplets, store Sugar Scrub by Sweet Candy in a dry place. 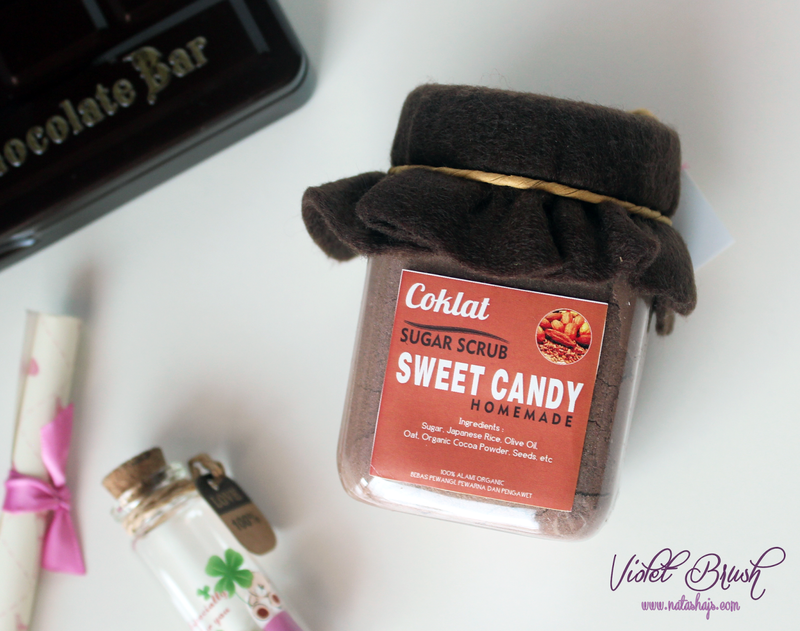 Since it's a dry scrub, Sugar Scrub by Sweet Candy has powdery texture with some bigger particles of sugar. 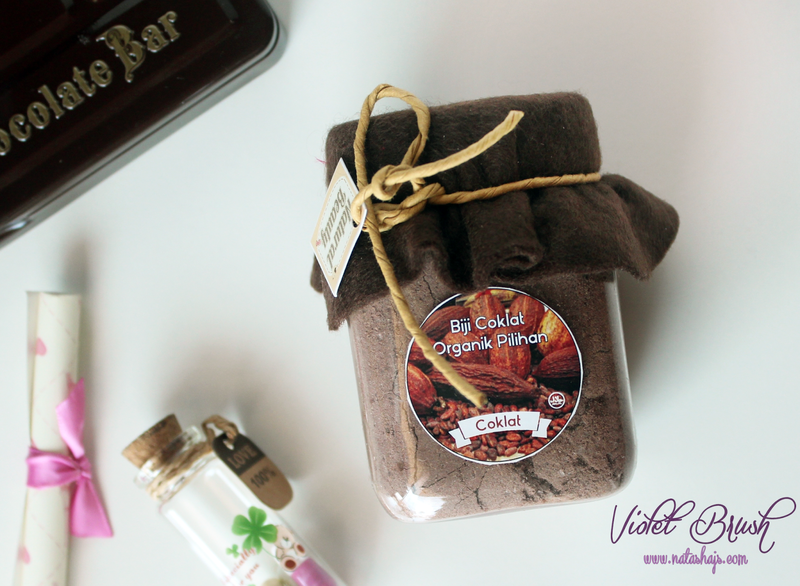 If you smell it directly from the jar, it really smells like real chocolate, very heavenly! 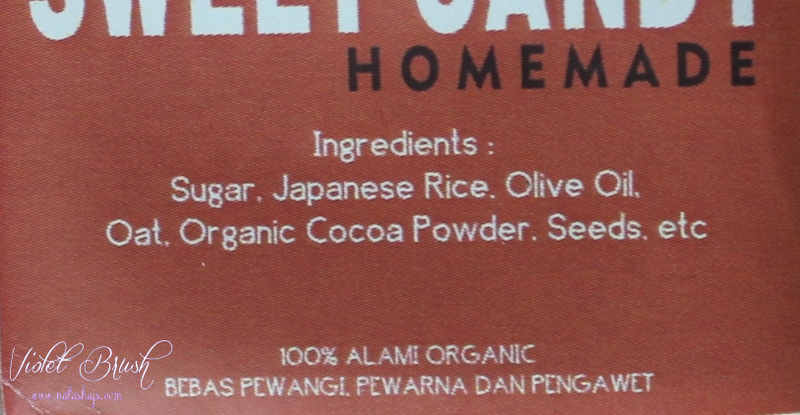 But once you mix it with water and apply it to your skin, it will smell like oat. 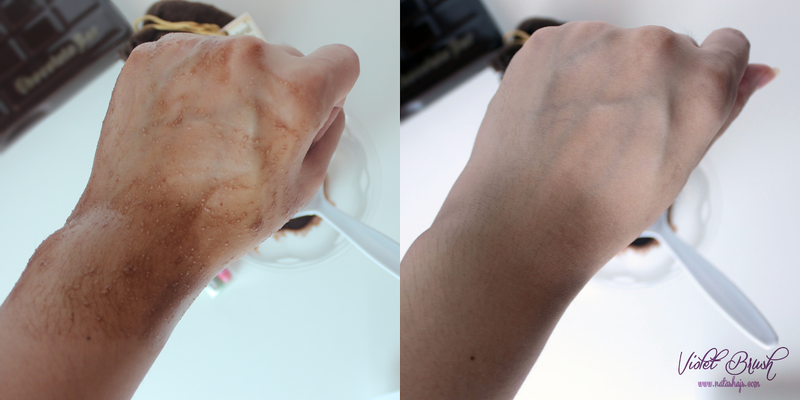 Once applied to the skin, it feels like some kind of sweet liquid is spilled to your skin. A little bit sticky but not too much that I could still handle it. 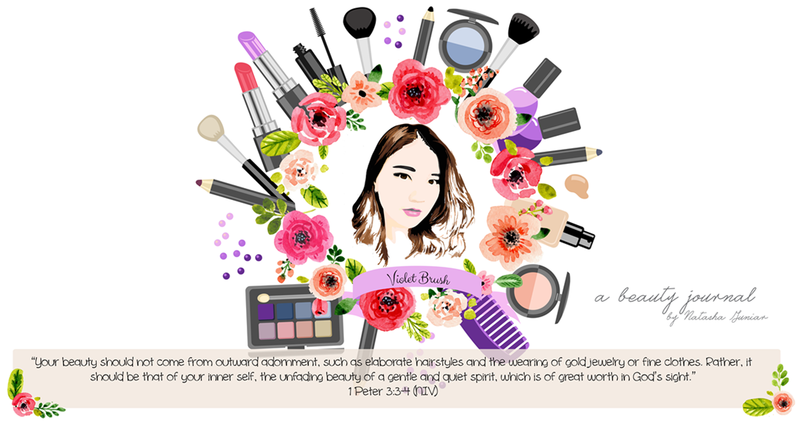 Being a dry scrub, Sugar Scrub by Sweet Candy has its own positive and negative aspects. The positive thing is that this scrub stays for a long time as long as you don't get the scrub in the jar wet. On the other hand, it's not so efficient since you have to mix the dry scrub with water first before usage. I'm really satisfied with the result. Smooth and soft skin after usage! 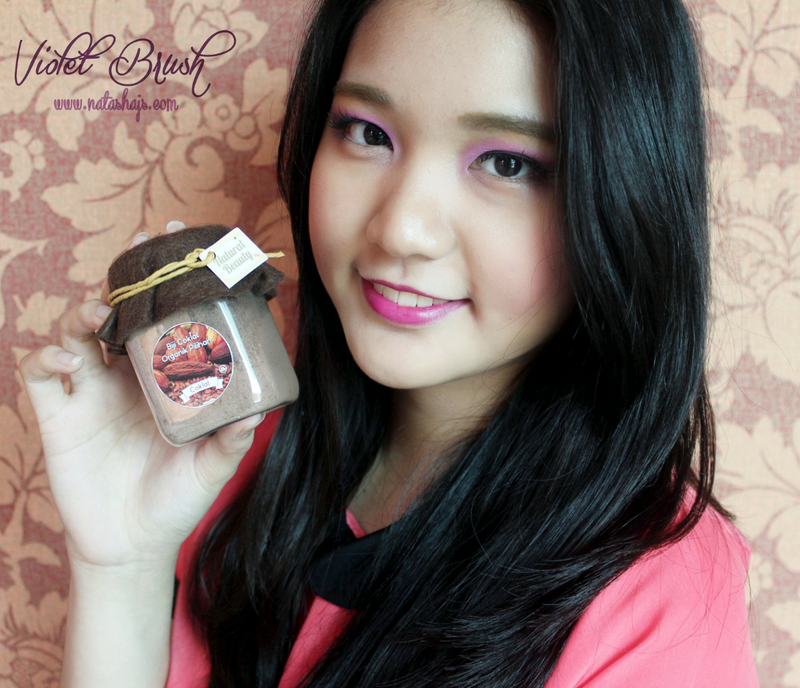 ^^ Sugar Scrub by Sweet Candy keeps my skin's moisture well.